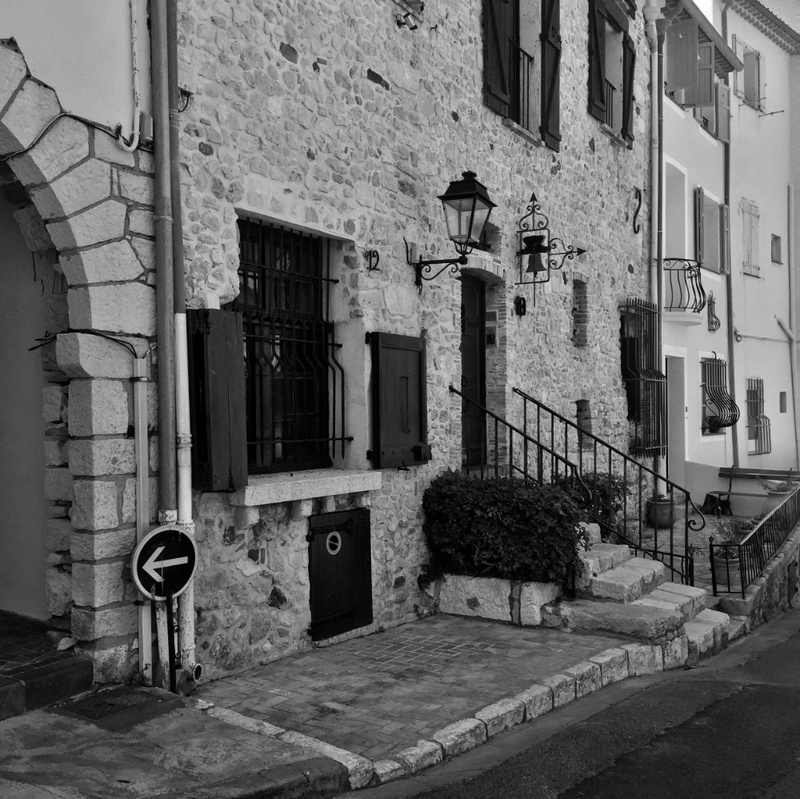 Recently I was lucky enough to take a day trip to the beautiful city of Antibes on the coast just over an hour from Maison Lambot B&B. 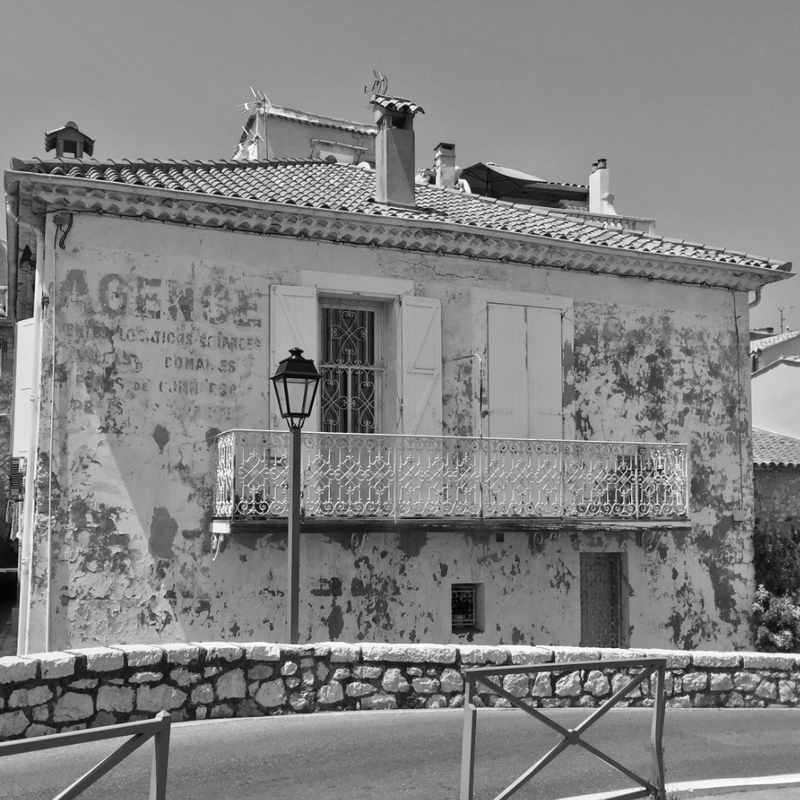 Antibes has a marina, several beaches, and attractive unspoiled city center with wide variety of authentic shops. The Picasso museum is not far from the city center. 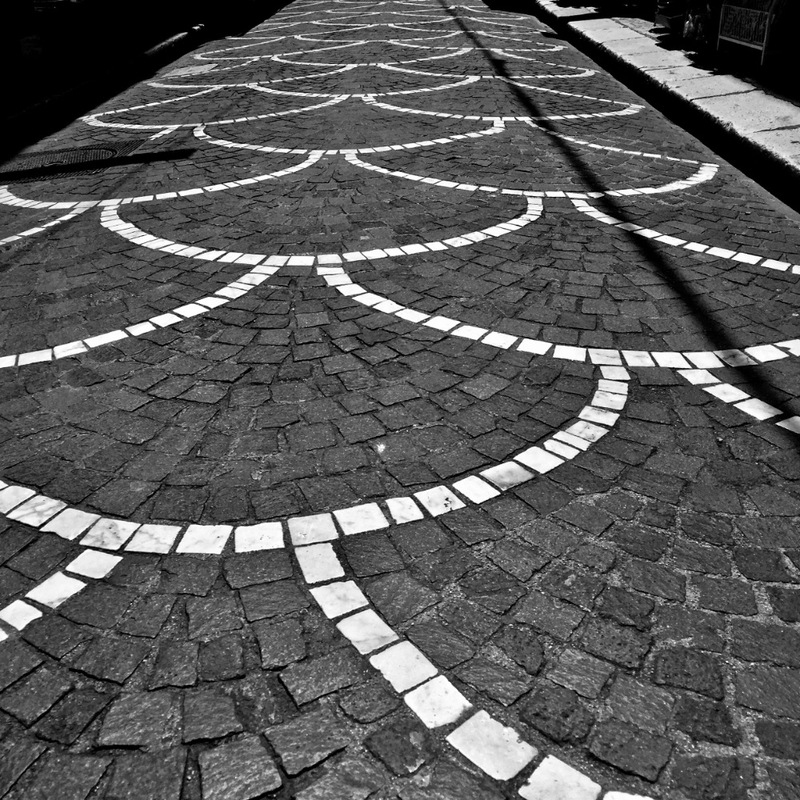 The cobbled street caught my attention first and reminded me of shells and fishes’ scales. This made me want a swim, I found a closeby beach, I chose ‘La Gravette’. On the way to the beach I browsed some shops and had a look around the pretty side streets of Antibes city centre. 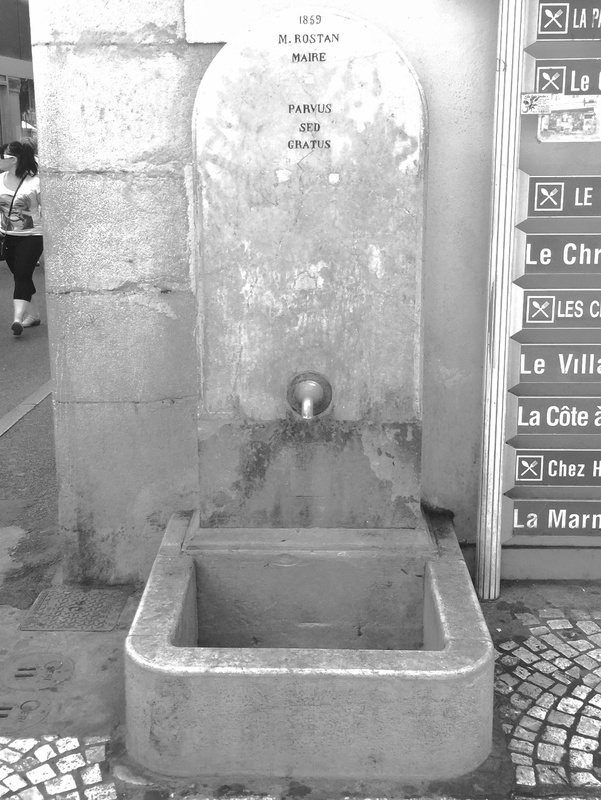 This 158-year old fountain caught my eye. After my swim I wandered along the seafront taking in the great Antibes architecture, on my way to the Picasso Museum (more on that in the next post). I love the unusual doorbell on this house. The ancient advertising painted letters are still visible on this seafront property.